Use these forms to submit information and requests to OLLI Administration and Communications. Help us improve the OLLI at Duke experience for you and your fellow lifelong learners. Submit your suggestions, comments, concerns or questions in the appropriate form below. All comments are considered STRICTLY CONFIDENTIAL whether or not you provide your name and email address. If it's important for you to receive a reply, however, you will need to provide an email address and at least a first name. Thank you! Are you organizing or know of an interesting, upcoming event, lecture, or workshop opportunity that fellow OLLI members might enjoy? Tell other OLLI members about it by entering the following information and clicking the Submit button. All fields with an * ​​must be entered. OLLI at Duke reserves the right to reject any submission that violates Duke University policies. We will not post submissions that promote for-profit businesses or activities, that present a political point of view, or that take a position on social issues. Other forums are more appropriate for those types of announcements. Do you want to share information about a volunteer opportunity, news about a member of the OLLI community, or a news item that does not include dates, start times, or RSVP? Enter your information here and click the Submit button. Pictures can also be submitted and are welcomed. Members and instructors are invited to tell members about books they have written in the last three years. If you have an author's event, please submit that information separately with the Submit an Event button. Please fill in the form below. Items with an * must be filled in. We suggest three questions to tell us about your book. Descriptions will be limited to 150 words for each of the questions. If your description exceeds 150 words, the Communications Committee will edit the description to meet this limit. Please upload either a word document or a pdf file with your description. You are encouraged to add a picture of the book cover. Please upload a jpeg image only. Remember, if you wish to announce an author's event, please use the event submission form on this page. What was the toughest challenge you faced in transforming your book from an idea in your head into a published work? Your book description should be in a document that you upload. MS Word is preferred; PDF is acceptable. 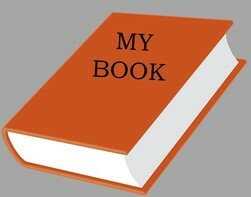 ​Book Cover: You may upload an image of your book. JPEG only. 500k or less is preferred.